These days, any excuse to get the hell out of Bangkok’s horrible, smog-filled air is a good one. Chiang Rai is always a nice bet this time of year, especially before the heat kicks back in. 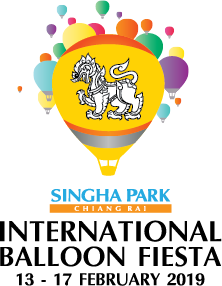 This Feb 13-17, the Singha Park Chiang Rai Balloon Fiesta is back for its fourth year. It's the biggest balloon festival in ASEAN, and if you’re not up to speed here is the gist. First, it's one of the most Instagram-worthy events of the year, with striking vibrant colors and light filling the sky as the creatively designed massive hot air balloons from more than 15 countries worldwide drift off the ground and into the sky. It would be kind of underwhelming if that was all there was to see, though. There’s more. Since the event overlaps with Valentine’s Day, there’s a bunch of romantic activities to take part in if you fancy—Singha Park aims to make the festival a world-class romantic destination. Honeymooners, or anyone needing marriage registration, can jump on one of the sky-high balloons and take pictures or re-exchange their vows in the sky. There are still lots of things to do on the ground too—we’re actually kind of scared of heights. Events will happen at different times across the five days and include things like a grand performance of “fancy” balloons from more than 15 countries, including the United States, Brazil, Switzerland, Japan and Thailand. If you're interested in seeing some traditional Thai theater, there’s going to be another series of performances from around 100 performers—all playing parts from the Royal Khon’s Ramayana (Thailand’s national epic). When the sun goes down, there are a handful of well-known Thai musical acts to enjoy, namely ETC., J Jetrin and JaoNaay, and Palmy to name a few.